The ticket booth is OPEN! Get your tickets now for the upcoming, Spring Home & Garden Tour to be held June 10th, 2017 in the lovely, Roanoke Park Neighborhood (Kansas City, MO). 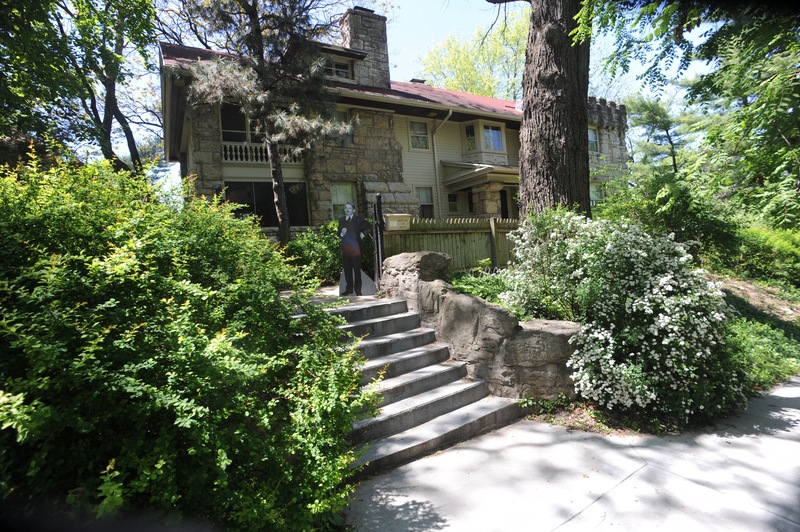 Tour (6) magnificent homes in one of Kansas City’s best kept secrets… historic Roanoke Park in Midtown, KCMO. For those who are familiar with the neighborhood will tell you… a homes tour here is a rare event… so don’t miss this opportunity. Ticket sales are limited so be sure to buy your tickets soon. Visit: https://www.eventbrite.com/e/spring-home-garden-tour-2017-tickets-33563019896 for ticketing information. Perhaps the most exciting part of the tour…and with an even more limited amount of tickets available…are the VIP EXPERIENCES. VIP Ticket holders will not only have access to the tour, but are also invited to attend private, garden parties at the home of famed artist, Thomas Hart Benton and the Frank Lloyd Wright designed, Sondern-Adler home. TICKETS: https://www.eventbrite.com/e/spring-home-garden-tour-2017-tickets-33563019896 be sure to choose VIP! UPDATE: We have just added a 7th house to the tour! The home of Matthew & Lindsay Severns, located at 3658 Madison Ave. has been added to this year’s tour. This Georgian beauty has a lot of history to share with you… recently updated, this home is ‘House Beautiful’ worthy! What would a great home and garden tour be if not for the price of admission? Okay, well maybe FREE! While we would love to make this a free event… the #1 rule of fundraising is… you need to raise funds. With that said, here’s a fancy link to purchase your minimally priced admittance ticket(s). https://www.eventbrite.com/e/spring-home-garden-tour-2017-tickets-33563019896 Your ticket price will help to keep the neighborhoods surrounding Roanoke Park beautiful and safe for years to come! Remember: Tickets make great gifts for brides, graduates, history buffs, people who love to get ideas for decorating, Mom’s on Mother’s Day and even Dad’s! Or how about making the tour part of your special event… like your first match.com date, or an anniversary or birthday…even for a bridal shower!